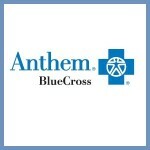 Blue Shield of California has experienced ongoing system issues that have recently been corrected. As a result of these issues, some Individual and Family Plan members received past billing statements showing incorrect amounts due. Affected members will receive a detailed statement of corrections for these past months and, in some cases, previous years, in their January billing statements. Those who have been over billed will be credited, and those who have been under billed will only be responsible for adjustments to the December premium, not for past months of accrued charges. Consumers now have until midnight on Dec. 17 to sign up for health care coverage that will begin on Jan. 1, 2017, Covered California announced. Covered California has reaffirmed their policy that only Certified Insurance Agents can call into the agent service center and request assistance for a Covered California consumer for whom they have been properly delegated. Support staff to the agent cannot call the service center on the agent’s behalf and make any changes or inquiries. Callers to the service center will authenticated by the agent’s name and Department of Insurance license number. 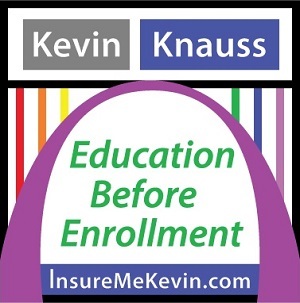 Covered California Certified Enrollers entering consumer income into the online application (CalHEERS) need to report the correct date in the First Date Paid field in order to get the correct eligibility results. Consumers applying for 2017 coverage may incorrectly receive Medi-Cal eligibility if they do not report their current income for 2016. Oscar is expanding their health plan availability into San Francisco County for 2017. They will continue to serve part of Los Angeles and all of Orange counties. They have notified members enrolled in some of their 2016 off-exchange plans that they will no longer be offered. The Simple Silver, Simple Gold, Simple Platinum, and Simple+ Platinum will not be offered in 2017. Individuals and families in these health plans must select a new health plan no later than December 31, with Oscar to maintain coverage. Sharp Health Plan of San Diego has sent letters to existing members alerting them that a previous notice of 2017 rates was in error. It is unclear from the member letters why both the 2016 and 2017 rates were stated incorrectly. From limited information, it looks as if the both the 2016 and 2017 were high. The 2017 rates are actually lower than originally reported to members. The corrected rates match the Sharp 2017 IFP rate sheet and rates posted to Covered California. Kaiser Permanente has released information pertaining to their individual and family health plans for 2017. Most of Kaiser’s health plans are available through Covered California and are eligible for the monthly tax credit subsidy. 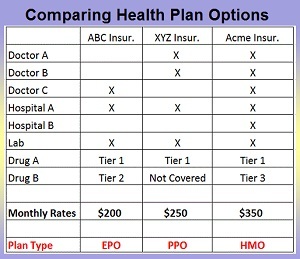 These standard benefit designs are also offered off-exchange, in addition to several non-standard benefit design plans only offered direct through Kaiser. For individuals and families who enroll in a health plan through Covered California they may also select a family dental plan. Any monthly subsidy awarded to the family for health insurance is not applied to the dental plan. Only household members eligible for the APTC monthly tax credit are able to enroll in an on-exchange Covered California dental plan. This means children who are Medi-Cal eligible or adults who have other coverage such as Medicare can’t be included in the family dental plan. For 2017, we have adjusted our product portfolio to include an exclusive provider organization (EPO) in most rating regions. Rating Regions 10 – 14 (Southern San Joaquin Valley counties) will continue to be offered PPO plans. Members on some 2016 PPO plans and all Tiered PPO plans in these areas will be transitioned to EPO plans effective 1/1/17 (unless they choose a different plan). Members will have access to our Pathway network of doctors and hospitals, but their EPO plan will not cover out-of-network benefits.